The photos in the slideshow above were taken recently by the brilliant Fiona Nichol. 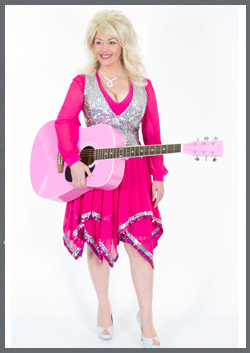 In recent years Andrea has had a dozen replica Dolly outfits made especially for her by the fantastic dress maker Liza Grant. If Anyone wants to contact Liza, please get in touch with us and we'll help you make a contection. Many photos of Andrea wearing these dresses are featured throughout the site.